All Nippon Airways is walking away from its Myanmar plans after their application for an air operator’s certificate gets rejected by local authorities. ANA had planned to operate a joint venture airline in the Southeast Asian country with a local property and banking backed investor Golden Sky World. The ANA group were going to take a stake of 49 percent in the air carrier that had plans to focus on international routes. Many see the country ripe for a massive growth in international air transportation following the recent opening of the once closed military ruled nation. This is not the first disappointment for ANA in the country, the first attempt to break into the local air travel market took place in 2014. 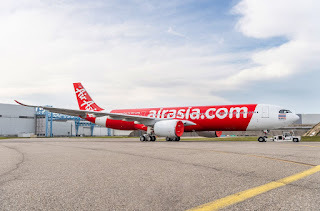 However, it halted a plan to take a 49 percent shareholding in Asian Wings Airways after local competition seemed to make such an investment too risky. Speaking to the media, ANA's local representative Sammy Aramaki said “We can’t find a reason,” for the Myanmar's governments refusal of the licence application. “The management can’t wait for any longer,” he said, the application had been put in last May and an answer was expected no later than August. A Myanmar government spokesperson confirmed the licence had been rejected but would give no further explanation for the reasons for rejection. Whilst it has been reported that ANA are disappointed with the news, they would continue to look at investment opportunities within Myanmar. Many others in the industry believe ANA have had a lucky escape. It could be publicly troubling for the carrier to supposedly be supporting a government that appears to be forcing vast swaths of the Rohingya population to flee the country in fear of their lives.